NEW YORK, NY – For months, I’d hang out with my friend and fellow Zenster Gary and – sometime after the 3rd or 4th martini – he’d say “Let’s go to Arthur’s in the West Village.” To which I’d say “There is no way I’m travelling all the way to the West Village at this time of night.” Keep in mind that the distance between wherever we generally were happy houring and Arthur’s was never more than about 2 miles. But when you live on an island with a land mass of only roughly 23 square miles (and when you’re no longer 25 years old), 2 miles feels like an epic trek after 10 pm. Gary did finally get me to Arthur’s and, man alive, I will never again argue about the merits of making the trip. 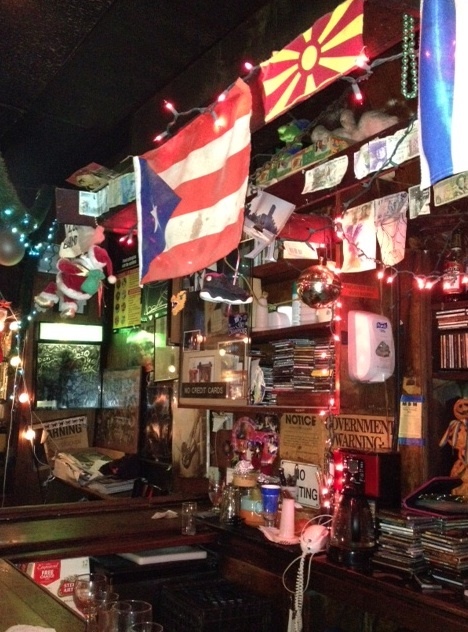 This is my kind of place – a dive bar with great live music, and one of the most fun evenings you can have in NYC. Arthur’s presents one or two acts per night, 7 nights a week. The bar hosts everything from jazz duos to rhythm & blues groups to Dixieland Jazz bands. The night we visited, we caught club favorite Sweet Georgia Brown, a sassy blues singer (dubbed “The Last of the Red Hot Mamas” on her website), with her backing band Off The Hook. The place was absolutely mobbed, so much so that you could barely move – except to dance, which lots of folks did with liquored-up abandon. Speaking of liquor: the pours at Arthur’s are strong, and you’ll find the drinks going down faster than you’d imagine as you soak up the atmosphere. The bar itself is strictly no frills, seating around 50 and dressed in an odd mix of holiday and other themes – Christmas stockings, jack-o-lanterns, Hanukkah bunting, national flags and balloons of no apparent seasonal affiliation. 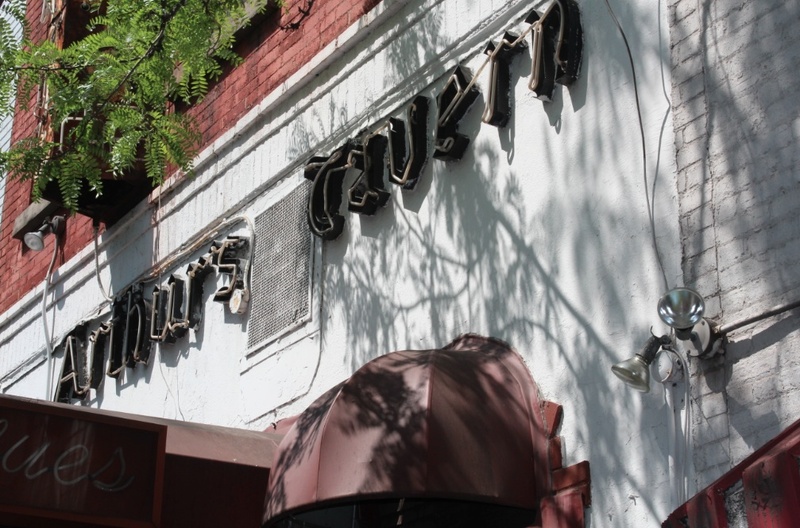 There are also plenty old sepia-tinged news clippings the wall celebrating Arthur’s long history – the tavern has been entertaining music-loving New Yorkers since 1937. If you visit (and you definitely should), there are several things to know: (1) Arthur’s is cash only, (2) the cocktails are not cheap and (3) though there is never a cover charge, the bands all pass around a tip bucket. So, come ready to splash a bit of cash, and to lose track of time as the music and cocktails carry you away. What is the little thing that makes Arthur’s Tavern worth a visit? The good times rollin’ here every single night. Where is it? 57 Grove Street, New York.